On Wednesday, Metro Nashville Public Schools presented their proposed budget for 2018 – 2019 to the mayor. Just for reference, I went back and watched the presentation from last year. Things back then were a whole lot different than this year. Last year, as Chair of the Budget and Finance Committee of the school board, Jill Speering sat next to Director of Schools Dr. Shawn Joseph and introduced him to the mayor as “the best superintendent in America.” I don’t think she’d say that this year. I’d like to make a few other observations if you’ll indulge me. Let’s hit the biggest monkey in the room first, Reading Recovery. After Dr. Joseph made an 11th hour decision – that reeked of retaliation against long-time Reading Recovery advocate and short-term Joseph critic Jill Speering – to end Reading Recovery, that decision claimed center stage in all budget conversations. So much so, that after Dr. Joseph returned to the office from the budget presentation, he took it upon himself to instruct the communications department to send copies of the two studies on Reading Recovery presented to the mayor to every employee in MNPS. A move that baffles me. Did anybody envision that teachers, right in the midst of conducting the problem-plagued TNReady tests, would receive the email and say to themselves, “Oh, here’s a study on a program that has nothing to do with me. Let me block off 45 minutes to do a deep dive into these two studies and evaluate the methodology and results”? I’m willing to bet that the majority of those who saw the email didn’t open it, and if they did, they thought, “What? They’re canceling Reading Recovery? Jill Speering loves Reading Recovery! This is just trying to get back at her. Shameful.” Ok, I added the shameful part, but I’m sure it didn’t go unnoticed. In order to evaluate a study, you have to know a little something about the subject. You could send me a study on the effectiveness of Russian warships, but that doesn’t mean I’ll be able to bring anything to the conversation. Because I’m not familiar with Russian subs, the context would be lost on me. But in knowing a little something about Reading Recovery, I can tell you there are problems with some of the methodologies used in the studies. In comparing Reading Recovery student results and MNPS student groups, the MNPS-conducted study factored out EL students, students with 12 or more family members in the house, and other sub-groups until the end result was a comparison between Reading Recovery kids and the average MNPS student. This causes an issue because the Reading Recovery cohort is made up of kids from all those sub groups. So what you end up with is not exactly an apple-to-apples comparison. It also bears repeating that Reading Recovery is an intervention program, not a remedial program as Joseph keeps referencing, that is geared for kids in grades K-2. The intent of RR is to get struggling readers up to a grade level where they can take their place with their peers in class. It should be considered one small piece of our literacy policy. We should be assessing the value of the program based on whether or not it delivers kids reading on grade level. After that, the responsibility of continued growth should fall to other components of our literacy plan. RR is not a program designed to “fix” kids, so to evaluate it as such is disingenuous. Once these kids exit RR after 20 weeks, they still come from impoverished homes, non-English speaking families, and homes with more than 12 people living in the house. Now I will applaud Dr. Joseph for independently evaluating elements of our literacy program, but with this caveat: where are the evaluations of other portions of the literacy plan? Once again, it’s just another version of the same record played all year: we tout implementation – lead testing in water, increasing the number of kids in advanced academics, creating of the LTDS positions (I wish I could tell you what the acronym means, but basically these are fancy literacy coaches) – but we never conduct the follow-up. With all the consultants and new positions that have been brought in – Sharon and Sharon, creating LTDS positions, Scholastic, World Wide Reading, Bruce Taylor – has a study on their effectiveness been done? Why are we a weighing one individual component’s value independent of the entire literacy policy? And why is the data office speaking to the effectiveness of programing sans input from the curriculum and its head, David Williams? We’ve never gotten a clear explanation of why MAP test scores were up for one period. Here’s another place where we should probably hear from the head of curriculum. Does Williams have any idea why scores are up and if they are sustainable? Instead, all we get is an endless parade of back slapping and crowing. Is it too much to ask, what was the cause? Instead we get a study showing the fallibility of Reading Recovery devoid of any context as related to the overall literacy plan. Any teacher with experience will tell you that nothing in schools happens in isolation. If you are a teacher with a great TVAAS score, odds are your kids also have an RTII teacher with great scores. And we all know the role that socio-economic factors play in learning. Since the majority of kids in Reading Recovery are English learners and kids from impoverished families, perhaps that should have played a larger role in the conversation. That being said, I must admit that I’ve gotten deeper into the weeds defending an individual program than I intended. I certainly respect the right of the Director of Schools to implement any program that he feels will get results without engaging the community. However, I do think you have to be aware of the optics. I grew up a military brat and can remember my father always telling me that in order to be a general, you had to be as much a politician as a soldier. The same holds true for Directors of Schools. You have to have the ability to view things through the lens of politics as well as the lens of policy. That ability continues to be a weakness for this administration. Always reacting, never leading. What should have happened is that upon deciding that he didn’t believe in Reading Recovery and wanted to make changes, Joseph should have sat down with a Chief of Staff and the communications department and vetted what it would mean to end a popular program like RR. He may say he was waiting on a study to be completed, but he already had one study in hand, and if he was being transparent he could have alerted people to the possibility months ago, making the transition feel more legitimate. Joseph should have recognized that his recent conflicts with Speering would cast a shadow over the ending of this program, and he could have tried to sit down with her over the weekend and explain his motivation. I know they are not very fond of each other right now, but it’s been my experience that when the boss is unhappy with me, it’s on me to fix it. Speering is here for a minimum of two more years and can throw a wrench in many of Joseph’s plans; the opposite does not hold true for Joseph. At the very least, a plan could have been developed in order to prevent the appearance of retaliation, and thus, spared us all the drama. Joseph may also offer the excuse of a lack of a Chief of Staff, since the new Chief can’t start until July. But whose fault is that? I’ve seen previous COS Jana Carlisle’s performance reviews. There is nothing in there that indicated a need to terminate her mid-year. In fact, her reviews were quite good, and it has become obvious that her role was essential. If it was done as a cost-saving measure, I could suggest a few other positions better suited for terminating. If her firing was done, as I suspect, as a move to appease critics, well again, that’s on Joseph. Some folks have expressed outrage because they don’t feel that Reading Recovery teachers were given the same opportunity to defend their value as the social workers were. Not to offer a defense, but my information has indicated that social workers learning of their pending demise was not by design. So it’s not really fair to make that comparison. I always tell people perception is nine-tenths of reality. The perception with the general public and MNPS employees is that Joseph cut Reading Recovery in retaliation for Speering calling for an audit. 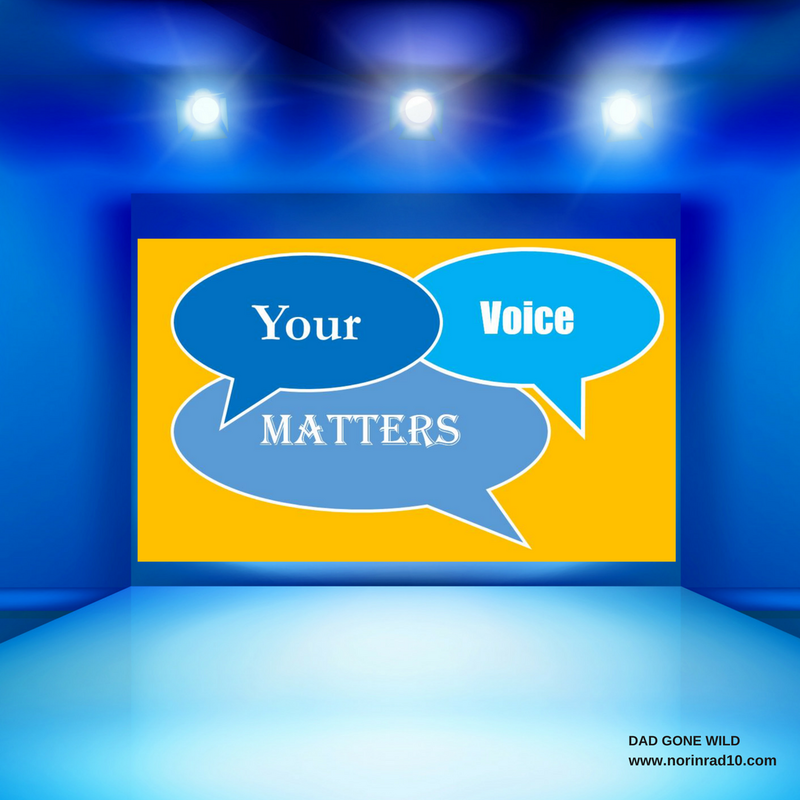 It just so happens I got a chance to listen what happened between Dr. Joseph, Dr. Felder, HR Chief Deborah Story, and the Reading Recovery teachers in a recent meeting, and there are some things I found very interesting. The first being that there is no plan. The expectation is that Reading Recovery teachers will become classroom teachers. They were told that they will get a $2500 stipend if they go to one of 21 priority schools, as well as a one-time, $1000 signing bonus. A teacher pointed out that one of the schools on the list, Kirkpatrick, is a charter school. After a brief conference among the leadership team, it was concluded that Kirkpatrick is indeed a charter school and therefore there are only 20 schools on the list. When it was brought to the attention of leadership that there are schools piloting Core Knowledge Learning, a different literacy strategy that is not congruent with Reading Recovery, and that teachers are concerned about sending mixed messages to students, Joseph answered, “That’s only five schools.” Five priority schools. So the list drops to 15. Teachers pointed out that in order to retain their Reading Recovery certification, they need to conduct 4 one-on-one meetings a day with students and asked when, as a classroom teacher, they will be able to do that. The response was that they will have ample opportunity before school, after school, and during planning time. Remember, most of the kids requiring Reading Recovery services are bus riders. Chief Academic Officer Dr. Felder attempted to console teachers that even if they lose their RR certification, they’ve received knowledge through extensive training that can never be taken away from them and that should be worth enough. None of the proposed jobs, though, do what these teachers are trained for, which is teaching struggling elementary readers to read. Reusing a previously-used sports metaphor, it’s like going to my star receivers on my football team and telling them they’ll be able to block people, tackle people, throw the ball – anything except for what they have a special and unique skill set for, which is catching the ball. Reading Recovery teachers, like receivers, just want to catch the ball. I must say that throughout the meeting, the Reading Recovery teachers were incredibly gracious. They laughed at Dr. Joseph’s jokes when appropriate. They were respectful in their questions and they didn’t badger when the answers were less than… answers. I was struck by the fact that the teachers were more concerned with what was going to happen with their kids than what was going to happen with them. But I guess I shouldn’t be; that dedication and concern for their students seems to be a hallmark with all of our teachers. Some people I know have questioned my passionate defense of Reading Recovery. Let me give you some context. My kids attend a high-needs school made up largely of impoverished kids and English learners. We speak a lot of inequities and these are the kids most impacted by a lack of equity. They are the ones who have taught me just how deeply inequity is ingrained in our neediest schools. Since his arrival, Dr. Joseph has ended, without research or a plan, a teacher training program that was extremely impactful at our school. We suffered through another year with facilities that were beyond inadequate, much like our feeder middle school McMurray is suffering this year. There were high levels of lead found in our drinking water and that was never communicated to parents. Now, at the 11th hour, a program that, at the very least, has strong anecdotal evidence of high results is being discontinued with no explanation or plan for how its going to be replaced. And this is just the tip of the iceberg. So forgive me if I get a little passionate if the Director of Schools portrays himself as being akin to the Black Panther while my kids and their peers face growing inequities. Forgive me if I get passionate if the Director of Schools tweets out graphics depicting kids on boxes behind fences instead of working to remove boxes and fences for all. Forgive me for getting passionate when the Director of Schools uses kids who need so much as political footballs and as a means of retribution against a school board member who questions his actions. The Director of Schools talks endlessly of being exonerated at the end of the currently ongoing financial audit. What he fails to understand is that there will be no exoneration. Something has caused school board members to go from calling him “the best superintendent in America” to questioning every word he says. That doesn’t happen by accident, nor does it go away merely because an audit might come back clean. It only goes away if a Director of Schools commits to letting people out of the box and focuses on fixing things. He should be more concerned with the lack of faith in the school system as a result of his actions and policies than he should be with his own reputation. After seeing the movie, I’m pretty sure that’s how the real Black Panther would view things. Can anybody tell me why everything associated with the budget this year seems to cost $7.5 million? Free lunch program, Reading Recovery, money lost to lower enrollment – it’s all $7.5 million. Weird. One thing that has been brought to light through this year’s budget process is the question of what have we been doing for our priority schools? We had to relocate Title I money because they were arguably under resourced. We have to send Reading Recovery teachers to priority schools because of a dearth of quality teachers. The Director of Priority Schools is also an EDSSI, so they have split responsibilities. Hmmm… why doesn’t she receive an extra stipend? Or maybe she does. In another head scratcher, it’s been announced today that Pearl Cohn High School principal Sonia Stewart will be taking over the duties of recently-exited Executive Officer of Organizational Development Mo Carrasco. This comes in spite of what we know about priority schools needing stable leadership and Pearl Cohn being a priority school. What’s clear to me is that we need to take a deeper look at our priority schools and what we are doing. As part of his budget elevator speech, Joseph has voiced a commitment to making our priority schools a priority. My question is, after 2 years, what’s taken so long? I’m starting to hear about people leaving MNPS for other employment. One that will be missed is Glengarry ES Principal Ricky Gibbs. He’s heading to Memphis. We thank him for his service. Rumor has it there will some changes in the Human Resources department. I’m also hearing that Director of Literacy Intervention (PreK-12) Tammy Lipsey’s tenure with MNPS is coming to an end as well. I try to be cautious in sharing rumors as these are people’s careers and lives, and we must always respect the real world implications. MNPS has a new Director of STEAM. Stratford HS Academy Principal Jennifer Berry will assume the role. She’s an 18-year veteran of MNPS. Congratulations and hopefully she’ll fare better than her predecessors. I know I should be investing more time into this year’s TNReady fiasco. But to be honest, I just don’t have the energy to engage in another round of groundhog day. Especially when Andy Spears and ChalkbeatTN do a much better job of it. Despite continually beating me over the head about Orton-Gillingham, Anna Thorsen is one of my favorite people in the world. She’s one of the driving forces behind Tennessee becoming more responsive to the needs of kids with dyslexia. There is not a more tireless advocate for special needs kids. Unless it’s Wendy Tucker, who has taken over as the new Executive Director at the Special Education Advocacy Center. Not to be outdone by the aforementioned women, there is an excellent piece in the Tennessean talking about community activist Tequila Johnson and her work with Nashville’s black churches to increase voter registration. Johnson is the Executive Director for the Equity Alliance, a new Nashville-based nonprofit that advocates for African-Americans and other communities of color to be engaged and empowered. Vesia Hawkins has a new blog post out that I urge you to read. 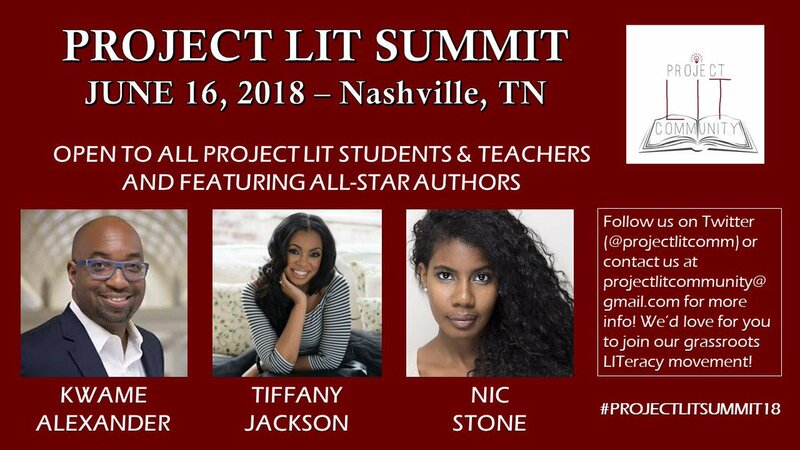 June 16th is the date for the inaugural Project Lit Summit. If you care about literacy, that’s a must-attend event. On Saturday, June 9, MNPS is hosting its annual Fatherhood Festival to celebrate MNPS fathers and their important role in students’ lives. On Monday, April 30th, come to the Overton PAC meeting and hear Overton HS Cambridge Dean Doug Trotter talk about Cambridge integration throughout the cluster. Or, if your school doesn’t have Cambridge, how it can make sure it is properly prepping students for Overton’s program. The meeting is at Haywood ES and starts at 6:30 PM. Come early and socialize. In case you didn’t catch it, MNPS Transition Team member Dallas Dance has secured residency with the state of Maryland’s correctional facilities today. He was sentenced to 6 months of jail time. I’m betting the facilities won’t be as comfortable as the Nashville Omni, where MNPS put him up when he came to town for all those transition team meetings. One thing that the two establishments have in common, though, is that Dance’s stays in both are paid for with taxpayers’ money. Hope that doesn’t put me at risk for a lawsuit. One last bit of advice for our Director of Schools: blaming former Mayor Megan Barry for not raising taxes, as you’ve done on several occasions of late, is not a good defense for MNPS financial shortcomings. And also, Tennesseans are not really warm to more taxes, so you might want to keep that talk in your house. Just trying to help. Reading recovery is not an appropriate intervention for dyslexic. We need an evidence based intervention for dyslexic children (we know dyslexics make up about 20%of the population ). State law says schools must provide evidence based interventions such as Orton Gillingham. We would be much better off introducing O-G to all children because it will help all of the struggling readers- dyslexic and not. As for Core Knowledge our school in Mass used it years ago and I think it could actually help the comprehension gap mentioned in the Atlantic article about why we still have struggling readers last week. That’s an area that we disagree on. It’s also a discussion that shouldn’t be held an hour before you present the budget. Getting rid of Reading Recovery is a big mistake. Why get rid of a reading intervention program that has been effective for elementary school students? It makes no sense to me. I have my Master’s in Reading, and I have always heard good things about this program, from both teachers and parents. LTDS stands for literacy teacher development specialist. Thanks. I should be able to remember but it continually escapes me. Ha! Totally get that. There are a lot of letters to remember in education. Look, the communication has been been bad, but I get what Joseph’s overall message is on this cycle- and I agree with it in theory. He’s wanting to push all the chips he can toward priority schools because the biggest embarrassment and shame for him will be leaving the district worse off on the most visible measure. Although this year’s delay of the A-F system and the impending lack of data for the priority system mean he might have more time, schools are still on notice. The concerted effort to push resources toward this problem should have started in 17-18. A comprehensive literacy plan for RTI, priority schools, and any teacher incentives (although these generally do not work, per several studies by Vanderbilt) should have been scoped in SJ’s year 1 and implemented in year 2. Instead, the big dollar initiatives in year 2 were STEAM and the encore program. Only the incremental increases in pre-k focus were really good supports for reading this year. The IFL units were a fail. The LTDS program has been less effective than it should have been (which may say more about the human resources dept which was heavy handed in staff selections)- though I’m willing to give that more time to improve. So, in finally realizing he needs a better focus on resource allocation for reading, I praise the theory behind trying to pull the title dollars toward priority schools (would have been nicer to plan for a phase-in from day 1). I praise the reallocation of RR monies toward priority schools (though I’d rather see those teachers just moved into priority schools as RR teachers and not as regular classroom teachers or LTDSs). I cannot abide by the wasted money on data coaches (a sop toward the chamber of commerce and nothing more), nor the continuation of STEAM in its current form. There are also headwinds in the EL budget/hiring process in future years, which require addressing- the pool of teachers is thin. So, I feel like if you look at the big picture SJs ideas aren’t really rotten- they’re just a day late and relatively unconcerted. He’s finally trying to deal with that. The question is does he really have team to bird-dog these efforts? I am with Gentry that there’s still too much to say grace over. And the Chiefs haven’t gotten it done so far. They don’t have much time to get this right, regardless of the reading strategy. Briley is correct. Soon the dominos will fall – schools will close. God help the district at that point. Just re-read, really thoughtful analysis. Thank you. I don’t know though that the criticism has ever centered around his ideas. If all it took was ideas, we’d all be making 300k. It’s the implementation that continues to cause problems. That’s where the devil is in the detail and every plan has had a scarcity ofd details.At some point you have to stop reacting, and lead.